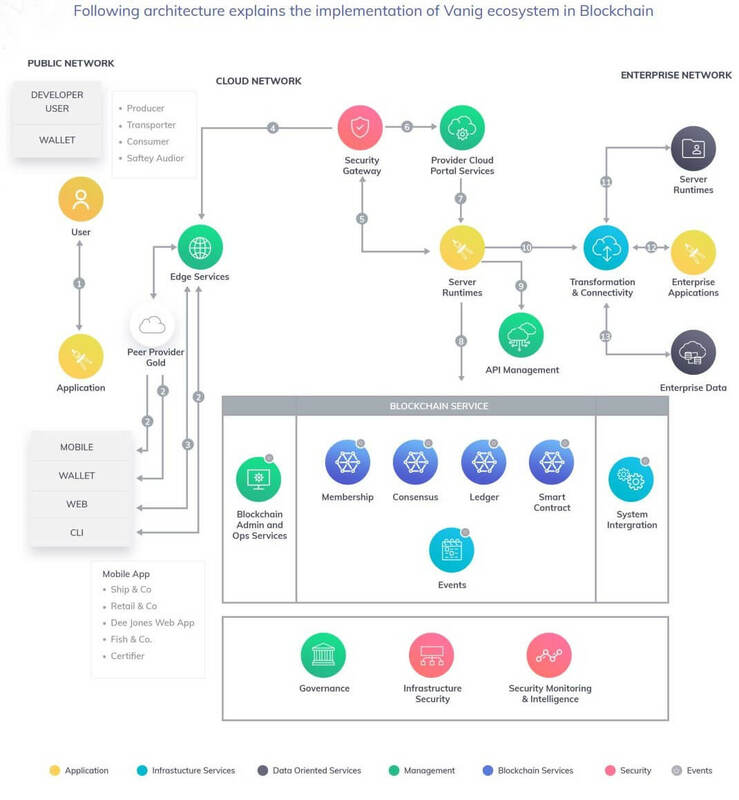 Vanig is an integrated E-Commerce platform and Supply Chain Ecosystem that is powered by the blockchain. It is a known fact that Supply Chain has not evolved fast enough in today’s E-Commerce age. 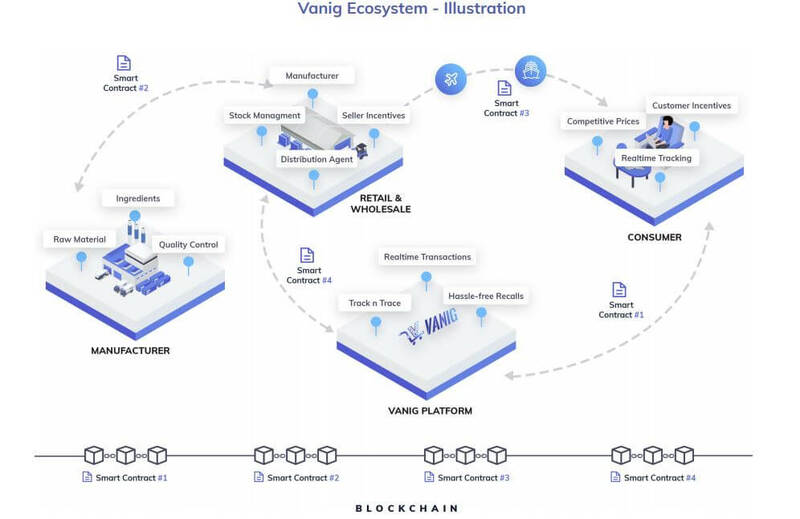 Vanig aims to solve that by addressing some of the significant issues plaguing Supply Chain for the manufacturers and sellers, and also equally important is Vanig’s E-commerce platform that will be a truly rewarding shopping experience for customers, as they will get good product selection, real reviews, save money, get rewarded, have access to product provenance information and track and trace, making shopping trustworthy again. Product price, tracking, reviews are among the top 5 influencers of product purchase today based on a study. Vanig is addressing all of that and more with our Vanig E-Commerce platform. Our proposition is drawn from years of experience and exposure to large scale e-commerce systems, running and maintaining global supply chains and expertise with distributed ledger technology, also known as blockchain technology. Vanig simplifies the Supply Chain process, eliminating intermediaries, reducing friction and manual processes as it ushers in a new level of transparency. Vanig provides provenance information on top products allowing customers to trust the products that they are buying. The Vanig E-Commerce platform is secure, has curated and discounted products, has a great rewards system and is user-friendly, benefiting all members of the ecosystem and it allows cryptocurrency payments. Vanig Rewards – Vanig is creating a rewards app and website that will payout buyers that use the Rewards app in Vanig tokens. The rewards will be higher than other leading reward programs as we pass on the entire affiliate commission over to the consumer. We are launching VANIG token with the Vanig platform. VANIG token will be the primary currency used across the Vanig ecommerce platform and Vanig rewards. The demand for VANIG token will continue to rise as the platform is rolled out and Vanig starts expanding to more countries. The value and demand of VANIG tokens will continue to increase as VANIG plans for quarterly buybacks once Vanig starts being profitable. Vanig plans to launch its e-commerce platform in 2 South East Asian countries each year starting with Philippines and Malaysia in Year 1 (2019) and ending with Indonesia and India in year 4 (2021). Vanig will be profitable year 2 onwards with a CAGR of 20-25% from year 3 onwards. We are excited to launch Vanig now and foresee exponential growth for Vanig from 2019! E-commerce is a global activity amounting to trillions of dollars’ worth of trade. Middle class spending will triple by 2030; the sharing economy could top $300 billion by 2025; more than 1.4 billion people purchased a product or service online in 2017; the gross total value of B2B e-commerce topped $20 trillion the same year. We are addressing a global market with potential outreach to emerging and established economies. 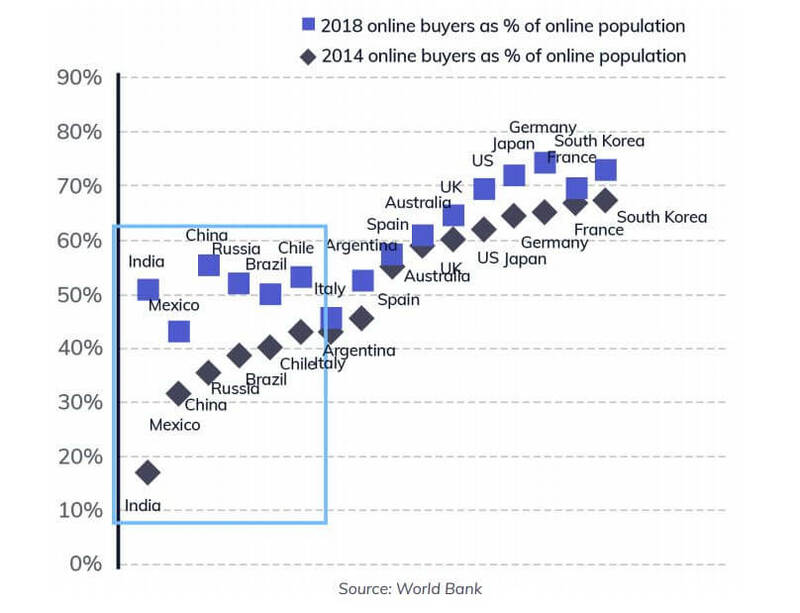 E-commerce is quickly taking over in emerging markets and it’s predicted that this year the majority of large emerging markets will have more online buyers than offline. The message is clear: e-commerce becomes the new channel in both developed and emerging markets. Despite the remarkable growth, the global e-commerce industry is still typified by two large and interrelated problems – supply chain inefficiencies and e-commerce shortcomings. We aim to solve these problems with Vanig. At any point in time during a typical supply chain process, it would be ideal if participants, from manufacturers to consumers, can inspect and access real time information about the status of their product or service. This is challenging in today’s supply chain as source and origin information is often hidden in data silos, most times in incompatible or inappropriate formats (non-digital forms). This is one of the unwanted necessities of supply chains: on one hand, we have to find practical ways to cope with complex supply chains with multiple participants each, and with a different stake in the product lifecycle; and on the other hand, we have to find a way to reconcile disputes, make the flow of products and services as trustworthy as possible and reduce counterparty risk. Intermediaries, or in simple terms middleman, play that role. They are the custodians of trust on the supply chain ensuring that everybody plays by the rules and facilitate the flow. They can play different roles, from custody banks and clearance agents, to brokers and dealers. However, each of them charges a fee to offer their services. And for a long and complex supply chain these fees add up, to the point that the end consumer purchases a product that is marked up by a huge margin due to the intermediaries’ fees. Real-time inventory management is more difficult to achieve. Especially for large, global supply chains, it’s challenging and expensive. It needs a whole re-design of existing IT systems and expensive retrofit solutions, which are not available or affordable by participants in the chain. For example, large manufacturers have the means to implement real-time inventory management systems, however, in a complex supply chain, just one node using legacy technology is enough to break the flow of information and negate the benefits of implementation. This is an issue that affects producers, wholesalers, and retailers. Especially during a product recall, the track and trace mechanism needs to be fast, reliable and transparent. And cost is a key issue affecting everyone on the chain: a manufacturer is keen to reduce recall cost while maintaining market status and reputation intact; a wholesaler is seeking to reduce unsold products and reimburse recall cost to their networks to maintain their position; a retailer wants to address recalls fast and effective, keeping their customers satisfied; and finally, the end consumer may want their defective product replaced at no cost and as fast as possible. Core team was formed, Business process and Technology solution framework created. Build Smart Contract and Blockchain components. Integration between e-commerce and Blockchain. 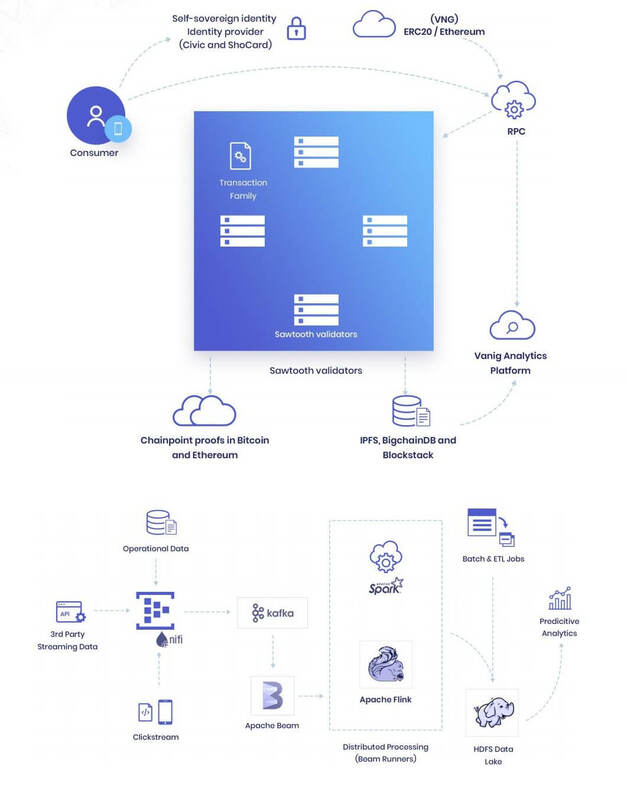 Launch e-commerce Alpha Version ecosystem - Open up registration for Vanig team & community. Launch e-commerce Beta version ecosystem - On-board up to 1000 Supply Chain Asia Manufacturers/Sellers to Ecosystem. Launch Vanig e-commerce and Mobile App in Asia - Philippines & Malaysia Consumers for fashion, furniture & appliances. Expand categories to Toys, Hobby, DIY; On-board 5000 Sellers to ecosystem. Launch Vanig to Vietnam; Vanig 2.0 Product release. Launch of Singapore 10,000 Sellers to Ecosystem. HongKong Launch, Vanig 3.0 Product release. On-board 25,000 Sellers to Ecosystem. On-board 100,000 Sellers followed by rest of world subsequent roll out's - US, UK, Germany, France, South Korea, Canada, Russia, Brazil & Japan.